Riyo Mori, a 20-year-old dance instructor from Japan, has been crowned Miss Universe 2007. What is this story doing on this blog, you ask? Why, it's because Ms. Mori is from Shizuoka Prefecture, Japan's leading tea-producing region. Why else? Speaking of Shizuoka, just because they're the biggest doesn't mean they're the best. Our tea is from the Aso region of Kumamoto Prefecture, which has everything that quality tea plants need to thrive—high altitude, cool summers, clean air, volcanic soil, natural spring water, and essentially zero industry. It may sound corny to say, but you really can taste the unspoiled nature in every cup. Hmm... That sounds like a good catchphrase. Doga—yoga for dogs—is popular not only in the U.S. but even in Japan, too. Translations of foreign doga books are selling well, and of course there's even a Japan Dog Yoga Association. Speaking of Japan's doggie-destressing industry, one Japanese company has invented a patch to tell if a dog is stressed out. 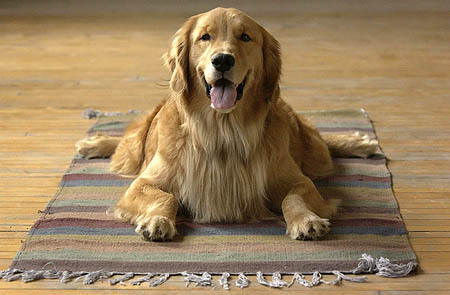 I had no idea my golden retriever, when she sat like this, was practicing doga. When I first read that Japan was planning what Foreign Minister Taro Aso called a "Nobel Prize of manga," I have to admit I smiled. "Nobel Prize"? A bit of a stretch, no? But further reading revealed that the Nobel analogy referred not to importance, but to the international nature of the new prize, which will recognize foreign authors of Japanese-style comics. The new award is part of Japan's "efforts to harness the power of pop culture diplomacy." Who's going to break the news to her that if she's not foreign-drawn, she's not eligible for the new manga prize? In his syndicated column "Second Opinion," Dr. Isadore Rosenfeld writes that a cup of tea runneth over with health benefits. Say it ain't so—food writer Trevor Corson says that sushi in America is not necessarily healthier than pizza. "What we think of as sushi in the United States has become Americanized and that involves more fatty ingredients while the rice tends to be sweet," Corson told Reuters in an interview. Looks great! Just go easy on the mayo next time, okay? For four weeks in 1973, the song "Tie a Yellow Ribbon 'Round the Old Oak Tree," by Tony Orlando and Dawn, was the number-one song in America, and today it's enjoying something of a revival. In the song, a man is riding on a bus on his way back from a stint in jail. He had told his sweetheart to tie a yellow ribbon around "the old oak tree" if she still wants him back. No ribbon means "Keep on walking, buddy." Predating the song is a 1971 piece by Pete Hamill called "Going Home." Like the yellow ribbon tradition itself, the ex-con-on-a-bus-looking-for-a-yellow-ribbon theme has a long and convoluted history, which this page explains in detail. Eventually, a Japanese translation of Hamill's book was published, and in 1977 legendary Japanese film director Yoji Yamada turned it into a movie, Shiawase no Kiiroi Hankachi ("The Yellow Handkerchief of Happiness"), which was a smash hit in Japan and even won the "Best Picture of the Year" award in the inaugural year of the Japanese Academy Awards. The film's ending is essentially the same as the song's, with an interesting difference: Instead of an oak tree, the sweetheart ties dozens of yellow handkerchiefs to the lines of her koinobori pole. In another twist to the yellow handkerchief tale, the Japanese film is being remade as Yellow Handkerchief, which is due out next year and stars William Hurt. Cover of the DVD version of "Shiawase no Kiiroi Hankachi." Jerry "Bonsaihunk" Meislik has a collection of dozens of photographs of bonsai. Peruse these while enjoying a nice cup of green tea, and you can practically feel your blood pressure drop. The pictures were taken at the National Bonsai & Penjing Museum, located at the U.S. National Arboretum. 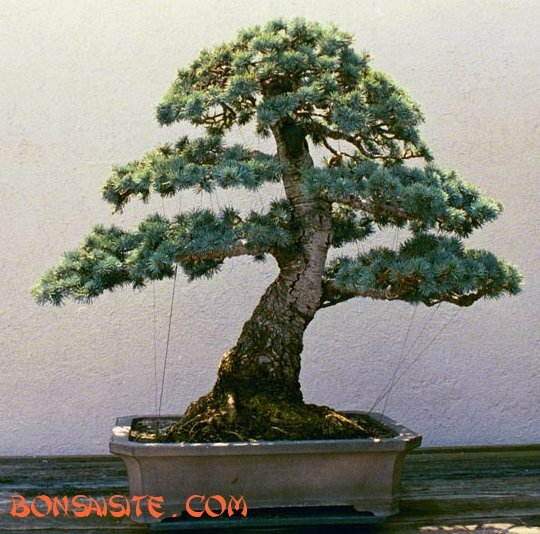 More pictures of truly amazing bonsai are available for viewing at BonsaiSite.com. Just click on the pic to go there. As tea's health profile has risen, it has increasingly found its way onto dinner plates as well as in tea cups. Green tea is mellow enough to work well with spicy flavors like ginger and garlic; citrus teas give a lift to heavier flavors like chocolate. Green tea cakes and chai cookies are now staples at bakeries, and restaurants are putting tea in marinades and rubs. Green tea—it's not just for sipping. Guide Dogs Victoria recently sent "some of Australia's finest four-legged genes" to Japan to help the blind. By the time you read this, Faye, Fuji and Vega will be in Japan undergoing guide-dog training. A company in Japan recently demonstrated to the public its new self-heating rice. Intended primarily as a post-disaster emergency food, the product consists of pressurized cooked rice with an exothermic agent that generates heat when water is poured into the container, as the nervous-looking gentleman is doing in the photo below. It sounds useful, but let's hope that self-heating rice works out better than those self-heating lattes did. "Uh, guys... What if it starts some sort of chain reaction?" The Scotch Whisky Association is poised to announce that the world's top-ten whiskey-consuming nations now include China, where a popular way of imbibing is adding the whiskey to iced green tea. In China, whiskey is a popular "boost" for green tea. 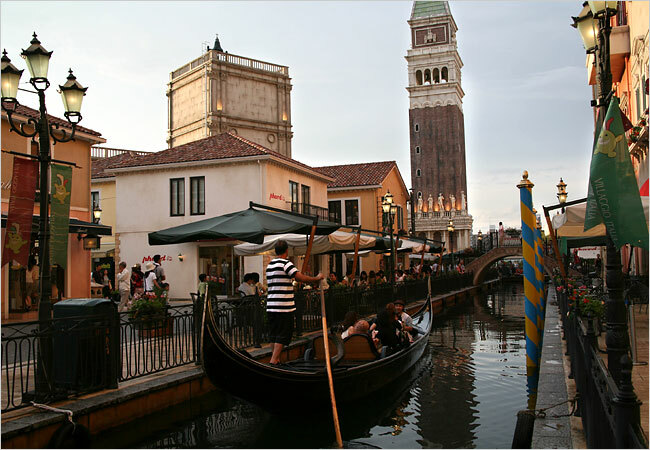 A scene from Japan's "Italian Village" theme park. Sjogren's syndrome (SS) is a common autoimmune disorder that affects up to 4 million people in the U.S. alone. It's associated with arthritis, and the most common symptoms include dry mouth and dry eyes, a result of lymphocytes (a kind of white blood cell) clustering in salivary and other glands. Current treatment for SS is theraputic—it targets the symptoms but cannot cure the disease. 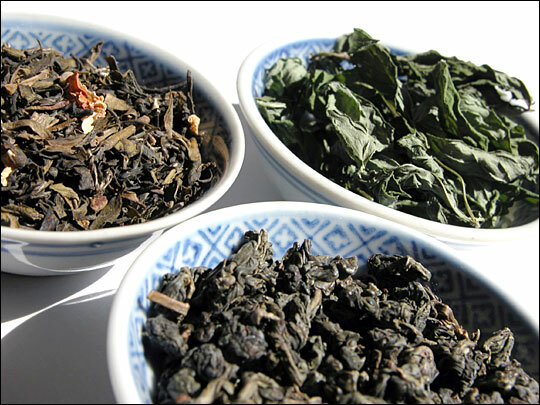 However, a team of researchers at the Medical College of Georgia have found that green tea could help treat this disease. 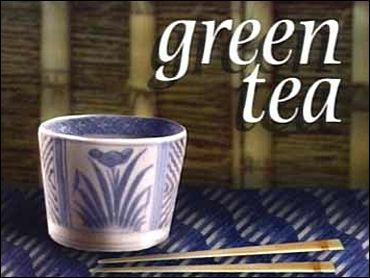 Subjects given green tea extract exhibited significantly less salivary gland damage as well as significantly fewer lymphocytes and lower levels of autoantibodies—a sign of suppressed imflammation. An abstract of the study, which was published in the journal Autoimmunity, is available online here. The good doctor hard at work, studying how green tea fights autoimmune diseases. Perhaps because I recently saw the film The Station Agent—which is excellent, by the way—I've lately re-realized how cool trains are. 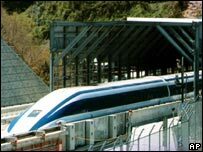 Which is why this piece of news caught my attention: Japan is planning to build a magnetic-levitation (maglev) rail system and have it up and running by 2025. "I hear the train a-comin', it's rolling 'round the bend..."
At the conference Experimental Biology 2007, held from April 28 to May 2 in Washington, DC., a University of South Florida neuroscientist reported that green tea may help prevent and treat HIV-associated dementia, also known as AIDS dementia complex. More specifically, the catechin epigallocatechin gallate (EGCG) "greatly diminished the neurotoxicity of proteins secreted by [HIV]." EGCG is not only the most abundant catechin in green tea—it's found only in green tea. This news comes on the heels of a report that green tea could also reduce the risk of becoming infected with HIV/AIDS and slow its spread in those already infected. To attract more tourists to Hikone Castle as its 400th anniversary approached, a group of business types hit on the idea of creating a cartoon character to feature in all ads for the castle. The result was Hikonyan the samurai cat, who has been a smash hit with the public. The "-nyan" part of the name "Hikonyan" is the Japanese equivalent of "meow" and is also used in nyanko, the baby-talk word for cat. And the word "moggy," used in the second linked-to article, is a Britishism for cat. By the way, the Monk wishes the happiest and mellowest of Mother's Days to all the mothers out there. ...and Hikonyan in "real life." A small company in Ohio has released a green tea kombucha called "Kombucha Kvass." To clear up confusion over the word kombucha: In Japanese, kombucha is tea (cha) brewed from kombu, a type of edible kelp. In the English-speaking world, however, kombucha somehow came to refer to sweet, fermented teas like Kombucha Kvass. Entrepreneur Bob Munley poses with bottles of his "Kombucha Kvass." A Russian researcher sent the BBC pictures of Hokkaido, Japan's second largest island. Despite its size, Hokkaido contains only 5 percent of Japan's population—making it quite roomy indeed by Japanese standards. Sapporo is Hokkaido's main city—and Japan's youngest. After he and his fellow sailors aboard a Russian merchant ship ran out of beer off the coast of Hokkaido, Japan, a lone Russian sailor secretly went ashore on an international beer run. He purchased a 24-bottle case of beer—Sapporo, one hopes—for the equivalent of $84 and was on his way back to his inflatable boat when he was nabbed by police. No word on what happened to the beer. 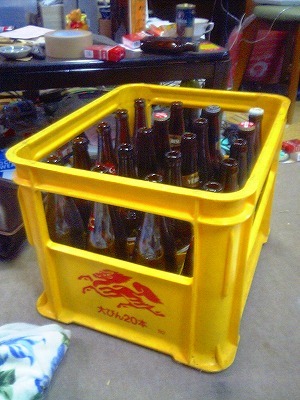 A typical 20-bottle case of Japanese beer. Note the large bottles. (The one obtained by the Russian was an American-style case of 24 small bottles.) These cases are heavy. 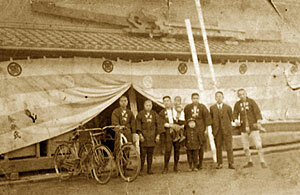 In fact, at small-town festivals, the sakayas (liquor store owners) tend to win a lot of "feats of strength"-type contests. One of the new products that Hershey's has developed for China are green tea Kisses. Hershey's products on display in a shop in India. The Japanese expression Naku ko wa sodatsu (泣く子は育つ) means "A child who cries will thrive." This saying dates back to an age when the infant mortality rate was high, and a child who was too quiet was cause for concern. In other words, having the strength to ball one's eyes out was the sign of a healthy child. From this belief evolved the tradition of konakizumo, or "crying-baby sumo," in which real sumo wrestlers face off in the ring holding a child. Whichever child cries first is the winner. CNN.com has a photo gallery of a konakizumo tournament held recently at Senso-ji temple, a very photogenic locale also known as Asakusa Temple. Superman wouldn't cry ... so he loses! Here is the questionable beverage industry decision of the week: Coke's decision to partner with L'Oreal cosmetics to make a co-branded line of health-and-beauty drinks—or, to use their terminology, "nutraceutical" drinks. The new Coke/L'Oreal health drinks. 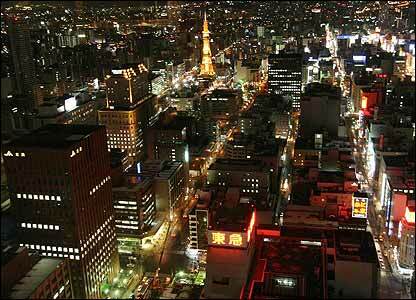 It's true that Japan has one of the world's lowest obesity rates. Only 3 percent of Japanese women are obese, compared with 13 percent in France and 33 percent in the United States, according to the International Association for the Study of Obesity. The Japanese also are global longevity champs, particularly the people of Okinawa -- home to the world's largest population of centenarians. This article even has a recipe for "Aromatic steamed salmon with shallots and broccoli." Hmm... Sounds yummy! Is it too early to break for lunch? 1 Create ambiance. For tonight's dinner, put out your best linens, create a centerpiece, or simply light a candle. A festive setting makes for a festive mood. 5 Hit the sack sooner. Go to bed an hour early tonight. Tomorrow, you'll wake up with a brighter outlook. 16 Keep in touch. Write a friend. Use your best pen and beautiful stationery. Realize that you are actually sending love. 17 Start a tea party. Schedule a regular tea date with your friends and honor it like any other appointment. During stressful weeks you'll have something fun to look forward to.